Based in Eugene, OR Attune Foods, LLC produces natural and organic cereals, granolas, and snacks. Its product line includes high-fiber, organic, and gluten-free breakfast cereals; refrigerated and non-refrigerated probiotic bars; raisin bran, and rye and hemp; and graham crisps, and sweet home farm granolas. The company offers its products through wholesalers and retail stores in the United States. 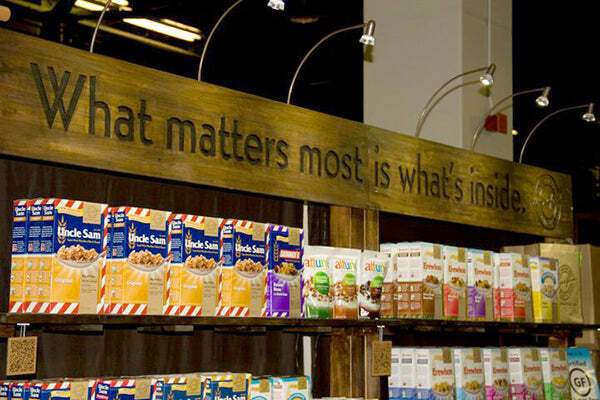 At Attune Foods, they believe what matters most is what's inside. They make their foods from simple ingredients, and are commited to bringing consumers food that helps them feel good and that they can feel good about eating with their family. 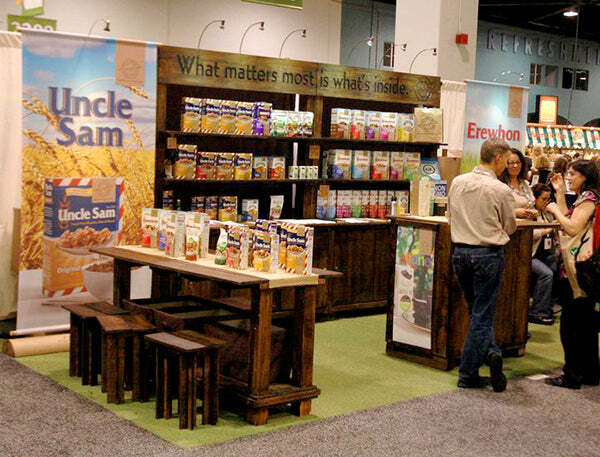 It was this focus on elegant simplicity that drove The Boothologist’s designs of the Attune Foods Tradeshow Booth at the Natural Products West Show. By using natural colors and reusable materials, Boothster was able to design and construct a custom tradeshow booth that reflected a simple and rustic feel to make consumers feel comfortable in the space while drawing their attention to the products on display. 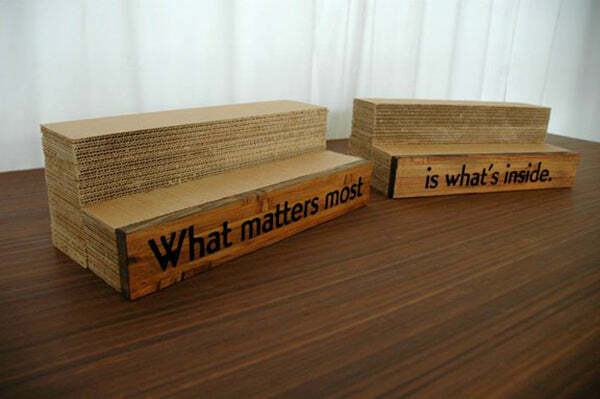 One of ways we used natural materials and use of color contrast to draw attention to the products was engraving the Attune’s message "What matters most is inside" into reclaimed fir, and staining it dark, with the engraved letters a metaphor for "what's inside". The letters could have been too dark to see in other applications, but the color contrast ended up working out perfect! The strategy was to have a dark colored tradeshow booth which allowed the very loud and bright graphic colors of the product packaging to jump off the shelf. We were really excited to see the product do just that - and more! It's one of our many booth design ideas we are so very proud of.